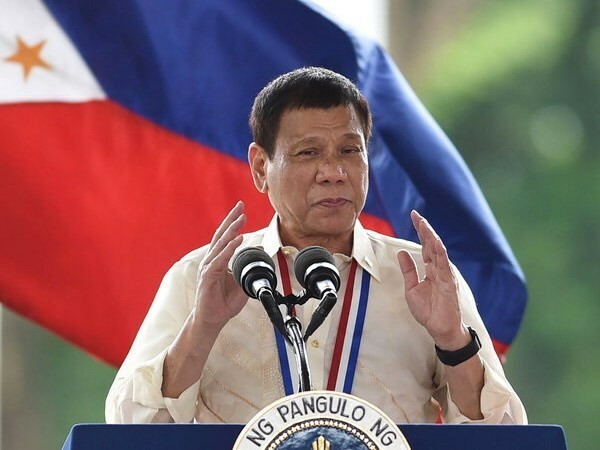 Hanoi (VNA) – The official visit to Vietnam by Philippine President Rodrigo Roa Duterte from September 28-29 is expected to strengthen the strategic partnership between the two countries, especially in politics, security, defence, and economics. This is President Duterte’s first visit to Vietnam and his fourth foreign trip since he took office on June 30 this year. Vietnam and the Philippines set up diplomatic ties in July 1976. They signed a bilateral cooperation framework for the first 25 years of the 21 st century and beyond in November 2002. The bilateral friendship and multi-faceted cooperation have been developing well based on mutual trust. In October 2011, Vietnam and the Philippines inked an action programme for 2011-2016 to implement the bilateral cooperative relations in various fields. In November 2015, the two countries’ foreign ministers signed a Joint Statement to establish the bilateral strategic partnership, ushering in a new era for bilateral cooperation. Two-way trade has been growing in recent years, which topped 2.92 billion USD in 2015 and 1.72 billion USD in the first seven months of 2016 (a year-on-year rise of 17 percent against the same period last year). Since 2008, Vietnam has recorded an annual trade surplus of over 1 billion USD to the Philippines, mainly from exporting rice, electronic spare parts, and farm produce. It imports from the Philippines fertiliser, equipment and components, minerals, liquefied natural gas, oil and petroleum, medicines and construction material. However, bilateral investment cooperation remains modest. As of 2015, the Philippines ran 73 investment projects in Vietnam with the total capital of approximately 303 million USD, ranking 31st out of the 101 countries and territories investing in Vietnam. So far, Vietnam has two projects in the Philippines, which are the advertising service of Seikosha Co., Ltd and the software development of FPT Corporation. Sea and ocean cooperation is one of the key pillars in the bilateral relations with the establishment of the Joint Committee on Sea and Ocean Cooperation at deputy foreign ministerial level, which convened the first meeting in February 2012 and the second one in September 2015. Other collaborative fields such as agriculture, education, and tourism have also seen positive developments. Vietnam began cooperation with the Philippines ’ International Rice Research Institute (IRRI) in 1963. Since then the IRRI has helped Vietnam create various varieties and train scientists. The two countries established a Fishery Cooperation Committee in 2011. Education and training are also realms of potential affiliation with the signing of an agreement bilateral cooperation in training in October 2010. The number of Vietnamese students pursuing education in the Philippines has been on the rise over the past few years. The two sides signed a tourism cooperation agreement for 2012-2015. The number of Philippine tourists to Vietnam increased to 100,000 in 2015 from 27,000 in 2008, while the number of Vietnamese visitors to the Philippines increased five times from 6,000 in 2009 to 30,000 in 2015.